If you're in need of affordable storage space and protection for your car or vehicle during harsh winter worry, Homestead Structures has the solution! 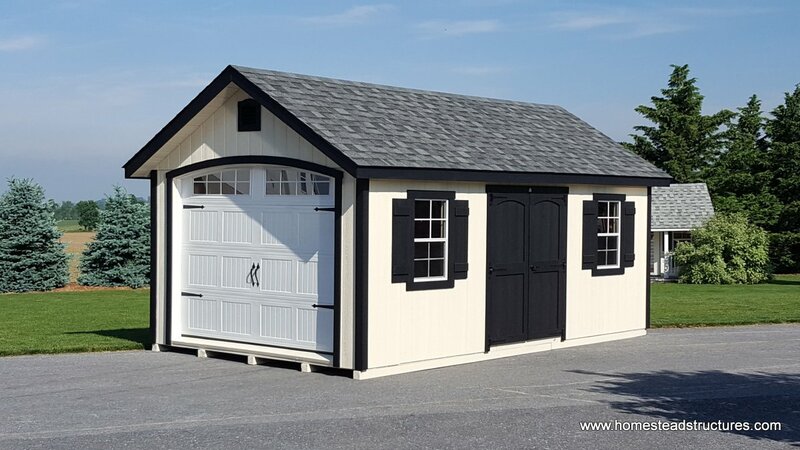 A 1-car garage can give you all the extra space you need at an affordable price. Find a place for your gardening tools, lawn mower, recreational equipment, and of course, the car! Harsh winter weather can damage a car over time. Cold wether can thicken fluids, take a toll on your tire pressure, and kill your battery. Keeping your car inside a garage can help relieve these issues since the car is kept out of the worst of the cold. Your pre-fabricated garage can be delivered fully assembled, giving you a quality product with minimal mess and hassle. Or chose a prefab kit that can be assembled on site in a few hours by our crew, here at Homestead. This will give you you all the custom options on your prefab garage that you could want. 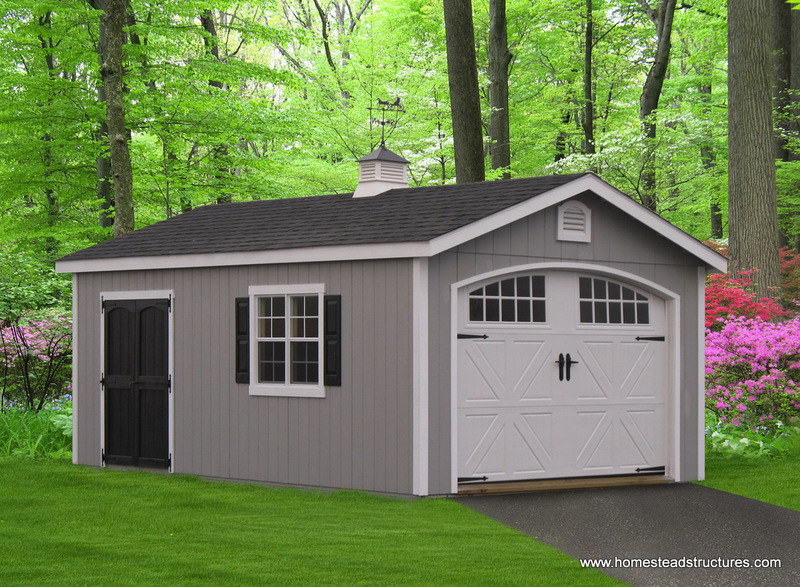 Homestead will work with you to ensure your garage design is exactly what you wanted before we start building a thing!. 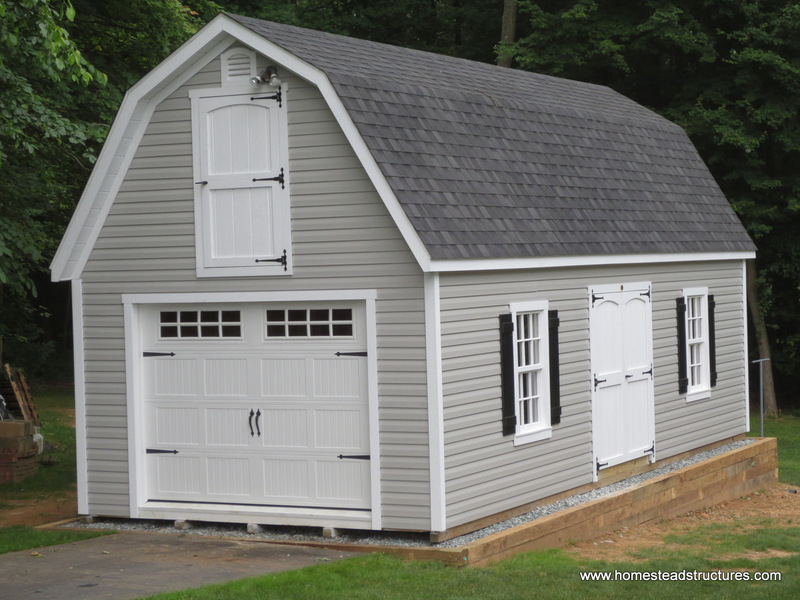 Homestead garages are available with vinyl siding, Duratemp (composite wood) siding, Hardie Plank or Pine Board and Batten, (or siding of your choice) so your garage can be an attractive addition to your backyard. We can match your house siding so your detached garage blends seamlessly with the rest of your home. If you're looking for an attached garage, we can do that too! Typically it's a more custom job, so please check out our Custom Garages page to see more options. 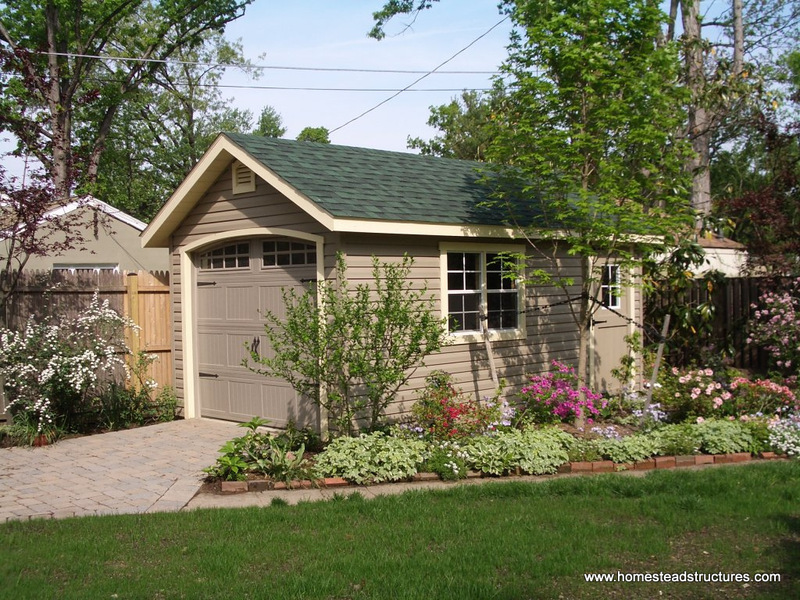 A custom garage can be as simple or as elaborate as you want it to be. 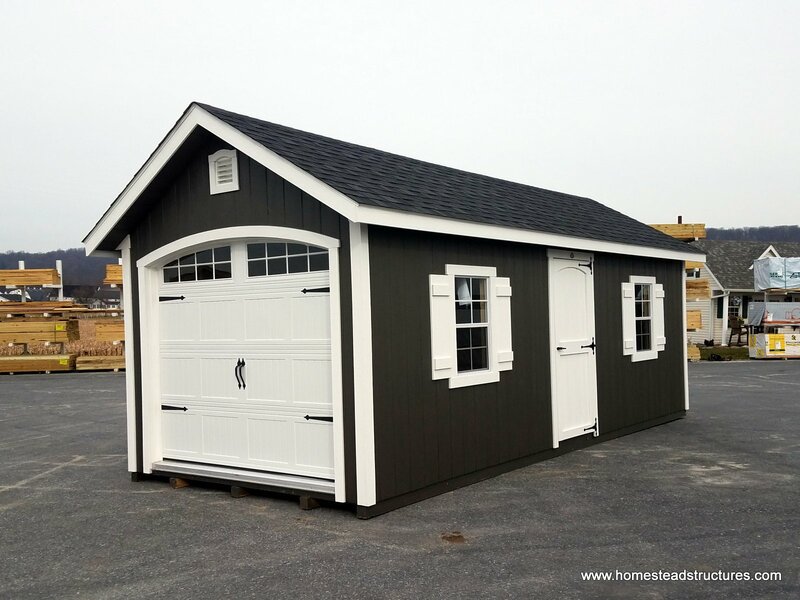 Your Amish-built garage can feature a classic a-frame style roof or a simple dutch barn style roof. 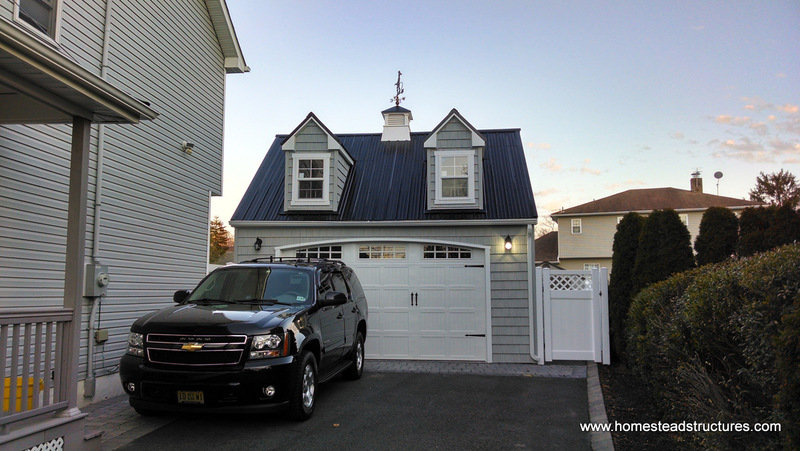 If you're looking for something a little different, let's talk custom garage roof styles. Choose your window size, and number of windows, add some curb appeal with flower boxes. 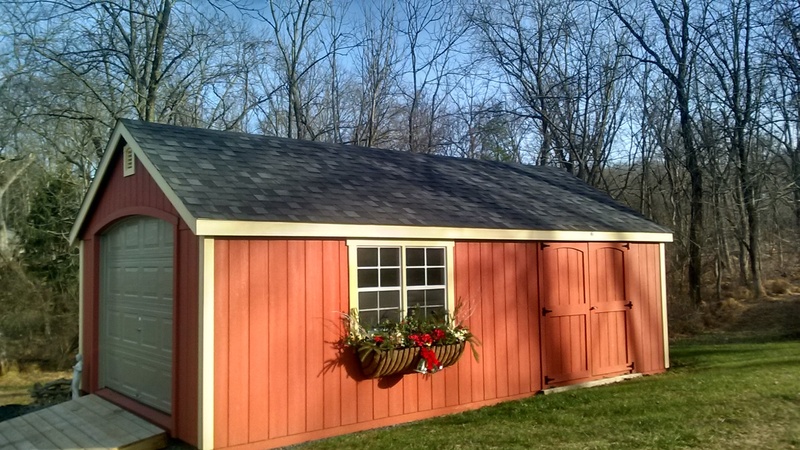 Top off your garage shed with a cupola or a weather vane for some extra fancy. 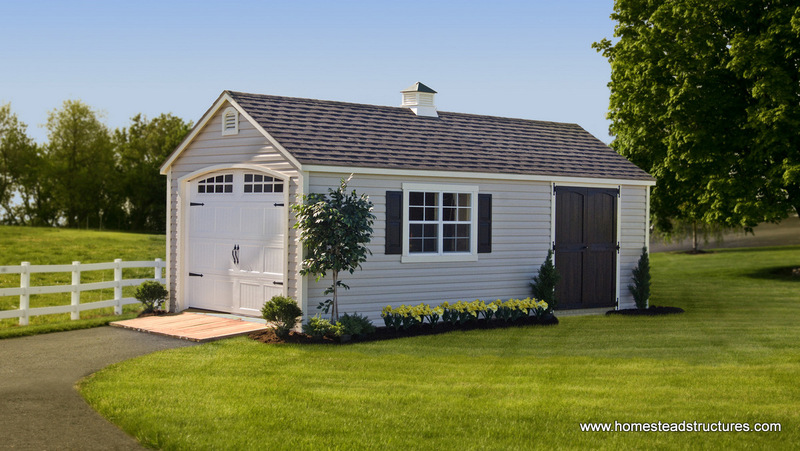 The options are endless and a custom built garage just for you has never been easier! Do you need even more space? Check out our two story garages!